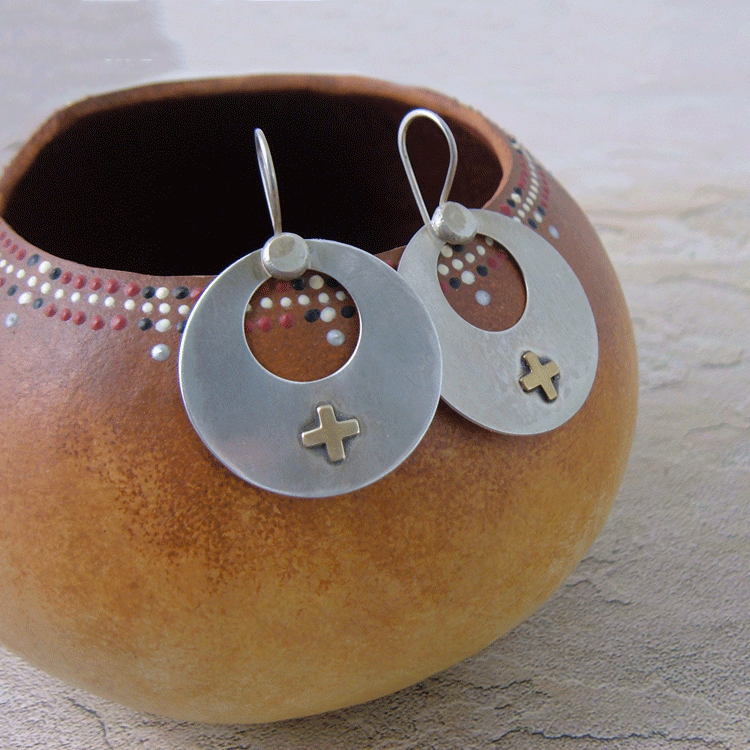 Sterling silver Santa Fe Cross hoop earrings inspired by the Cross of the Martyrs in Santa Fe. 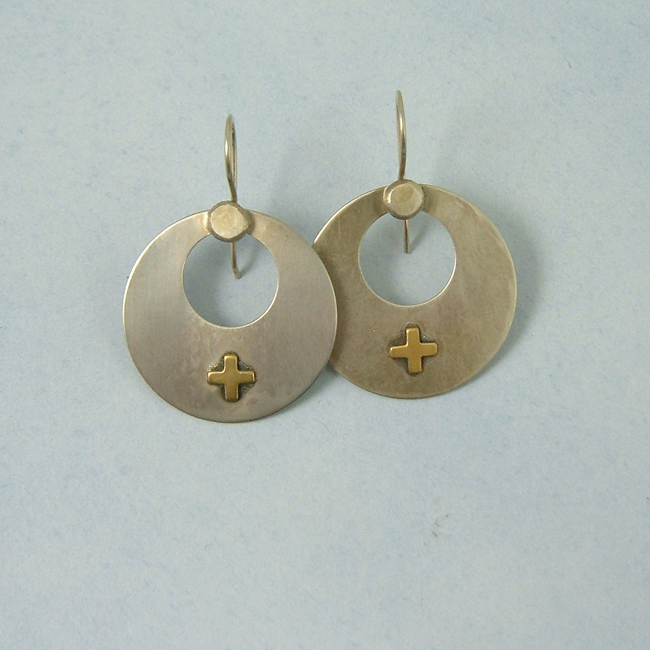 These handcrafted earrings bring together sterling with brass to form a popular design of two tone metal. A brushed silver finish gives them a hint of vintage reminding you of the American West. The design is inspirational and can be worn anytime of the year with jeans and a tee shirt to that perfect black party dress or boots and a poncho with your turquoise beads. 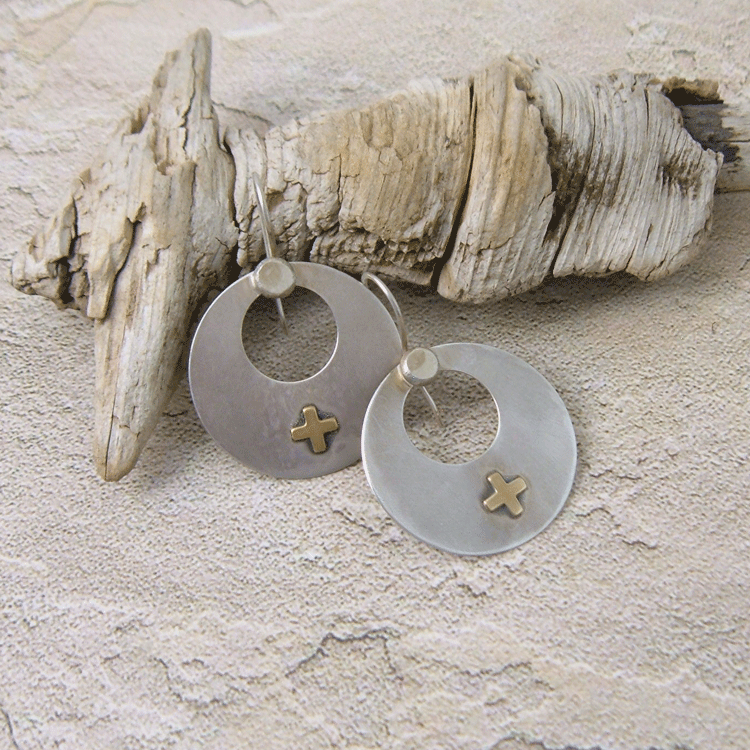 Whichever way you wear they�ll be one of the most comfortable earrings you own.